As part of Camella Homes Communities’ prepared activities, it added this few groups. On November 19, 2010, the office launched the Elite groups consisting with agents and brokers from different realty. It has two groups, the Red Avatar and the Golden Avatar.The RPM realty is categorize under the Golden Avatar and under on the Elite group. 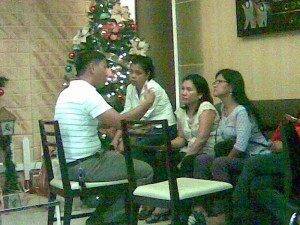 The Camella Communities launched this group to have a motivation in a form of competition between two groups. Ma’am Emmie, the manager, encourages each one of the agents and broker to strive more to gain the prices at stake for every good performance in selling to be. And congratulations to RPM realty, they will have the Dahilayan, Bukidnon adventure tour. They deserve the price! Rules where being enumerated and discussed in winning the awaited prices to all groups and everyone is excited to compete and win! Also, the declaration of officials followed and RPM realty broker is the sergeant at arms. The officials will have their functions in maintaining the good rapport among the agents and brokers in all realty and for the discussed agenda to be realized fully. 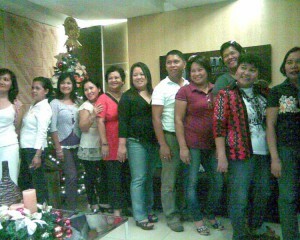 For the Camella Homes Community office, thank you for the opportunity and for your good outlook to all of us! We are all enthusiastic enough to reach the quota and to reach the goal discussed!